Lyme disease is a common and potentially fatal disease that affects humans, dogs, cats and other species. Dogs tend to get Lyme disease more than cats and people because they spend more time outside and are more likely to venture into long grasses where ticks are commonly found. It is caused by the bacterium Borrelia burgdorferi, which is introduced into the blood stream via a tick bite. It then causes problems in specific organs and locations around the body. It is generally thought that younger dogs are more susceptible to Lyme disease than older dogs. If left untreated serious complications can arise, for example damage to the kidneys, and more rarely to the heart and nervous system. Kidney disease is more prevalent in Labradors, Golden Retrievers, Shetland Sheepdogs and Bernese Mountain Dogs. In some cases, if left untreated, the disease can be fatal. Lyme disease is considered to be one of the most common tick-transmitted diseases, and yet it only causes symptoms in 5-10% of dogs. The most common symptom is a recurrent lameness in limbs and joints. This can last for 3-4 days, but recurs days to weeks later. This is also often the only symptom. Lyme disease will be diagnosed in your dog by a blood test. After this, the disease will be treated with antibiotics, usually administered for several weeks. In most cases, the symptoms are resolved in a fairly short period of time. However, if symptoms persist then additional medication may be needed. There also may be specific treatments designed to target individual symptoms. 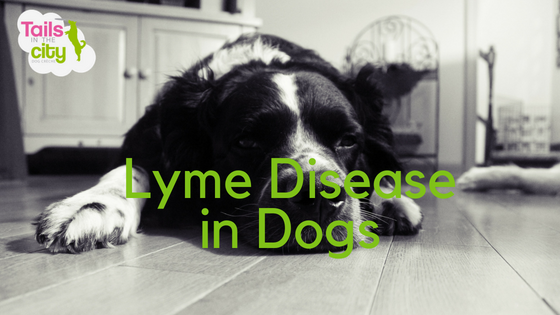 If your dog has been diagnosed with Lyme disease, it is a good idea to speak to your doctor, as you will have most likely been in the same environment as your dog and so there is a small chance that you have also been infected with the disease. If possible, you should avoid allowing your dog to roam in tick-infested environments. You should also check your dog’s coat and skin frequently, and remove any ticks by hand. Your vet can recommend various sprays, collars and other products that aim to kill ticks. Always contact your vet if you have any concerns about your dog.